The title of “Judgment is Coming”, I fear, is too hopeful. It may be that we are already judged! Sometime in the future, perhaps nearer than we think, the forces of retribution and bloodshed will be unleashed. 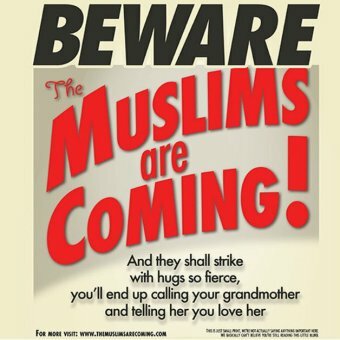 It may just be a humorous poster in a New York subway, but it may also be fiercely prophetic (without the humour). The Euphrates River runs through the geographic heart of the Islamic world, and it is from there that those demonic forces, apparently bound and restricted throughout the centuries, will be released to “kill a third of mankind”. Why? Because this generation has descended into wickedness. Just one example will suffice! We have killed the most vulnerable, our own children. An entire generation of humans, before or at birth, have silently screamed. We call it abortion. We’ve justified it, legalised it, and smugly sanitised our crime – which compounds our guilt! And one day we’ll be held to account for those sins. But, even then, with a third of humanity killed in less than a year, it seems, in the words of the prophet John, we’ll still be reluctant to confess our guilt. It will take a far greater Judgment to teach us what is right. God hasten that day.